De novo assembly graphs contain assembled contigs (nodes) but also the connections between those contigs (edges), which are not easily accessible to users. 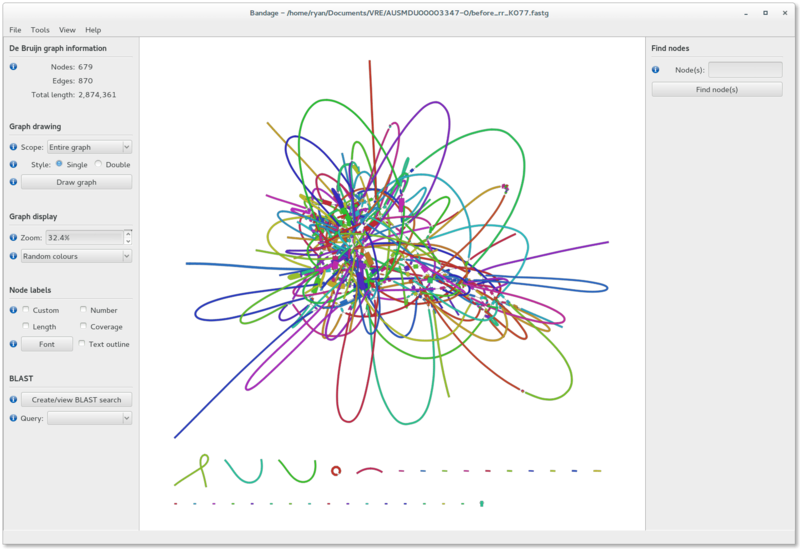 Bandage is a program for visualising assembly graphs using graph layout algorithms. By displaying connections between contigs, Bandage opens up new possibilities for analysing de novo assemblies that are not possible by looking at contigs alone. BLAST searches of an assembly can be conducted within Bandage… the resulting hits are highlighted in the graph! Note: works with the assembly graphs output by Velvet, SPAdes and Trinity.